When I read a nonfiction book, I need some way to immerse myself in the time period and really feel like I’m reliving whatever event the author is trying to shed new light on. 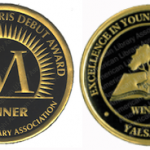 One recent nonfiction title that I was particularly enamored of was one of the 2012 nominees for YALSA’s Nonfiction Award, Witches! The Absolutely True Tale of Disaster in Salem by Rosalyn Schanzer. It had never-fail compelling subject matter, and it was filled with actual court testimonies and accounts that I had never before read. It really gave new life to the whole Salem witch trials debacle — I couldn’t put it down. And the content was in easily digestible nuggets of knowledge: I wasn’t overwhelmed with historian analysis. In contrast, I had some difficulty with YALSA’s nonfiction winner last year, The Notorious Benedict Arnold: A True Story of Adventure, Heroism, & Treachery by Steve Sheinkin. Don’t get me wrong, by the time I had reached the final page, I was thoroughly engaged in the story and was amazed at how little I knew about the true story behind Benedict Arnold’s life. 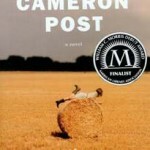 I can see why it won the award, and overall I really liked the book on a personal level. However, the book contained a plethora of very detailed information about endless battles in the Revolutionary War. Those details are, of course, arguably important in telling Benedict Arnold’s life story. But as a reader who does not normally explore historical conflicts in that level of detail, it was a struggle at times to slog through some of the battle descriptions and action sequences. I guess when all is said and done, there is always an element of personal taste that comes into play (just like with fiction titles). I predict I’ll be very enamored of Moonbird and Titanic on this year’s nominee list, less so with the Steve Jobs bio and We’ve Got a Job. Why? Mostly due to the subject matter. And I’m on the fence with an early prediction of how I’ll like Bomb — it feels like a title that could really creep up and grab hold of me. I’m just glad we have a YALSA list to inspire me to read some of these wonderful titles. And I’m really excited by the read-alike lists that others will be blogging about. There are always readers who enjoy a good nonfiction book over any other genre, but I’d love to expose more fiction devotees to the great nonfiction titles out there by linking it to some of the books they already know and love. What do you look for in a nonfiction title? What do you think makes a good nonfiction title “good”? And don’t forget to fill out the form below if you’ve finished the challenge! YALSA’s 2013 Morris/Nonfiction Reading Challenge begins! Finished 3 more this week, bringing me up to 6/10. As for non-fiction, I always thought that subject matter would be most important for me in terms of likability, but I’m finding that writing style is equally if not more important. I thought We’ve Got A Job would be my favorite because it’s a really interesting topic. However, I felt the pacing was so slow at first that it ended up being my least favorite so far (although I still found it enjoyable overall). I dreaded reading the Steve Jobs bio, but ended up finding it really fascinating! I haven’t read a lot of non-fic so I’m still figuring out what makes a good non-fic, but so far I’m realizing that quick pacing makes all the difference for me. I mean, the Titanic book?? Couldn’t put it down! That’s been my favorite so far. I’m hoping Moonbird and Bomb will pull me in quick and not let me go. I finished Moonbird last week and can’t stop telling people how awesome it is. I’m also about halfway through both We’ve Got a Job and Titanic (yeah, that’s how I roll!). I’m super excited about Bomb, because I can’t stop hearing great things about it! I loved Moonbird, too and can’t wait to read Bomb. My husband loved it and read it in record time. Moonbird by Phillip Hoose – loved it! 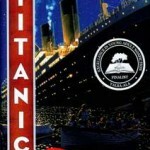 Titanic: Voices from the Disaster by Deborah Hopkinson – I’m not a Titanic person but it is a well-written book that I’d read for anyone who is at all interested in the subject. Wonder Show – I definitely like this one. Steve Jobs — I have owned a computer for almost 30 years, so I enjoyed this “walk down memory lane” as I read about Steve’s incredible influence. We’ve Got a Job — These events happened during my lifetime as well (yes, I’m dating myself!!). This was an incredible account of some very courageous young people!! So that brings my count up to three from the nonfiction list! During the holidays this week I hope to complete Bomb and Moonbird. I love nonfiction, and always have. Even as a teen I preferred it. I’m loving this excuse to immerse myself in a good informational book!! Slow start for me this week. Still trying to finish After the Snow, but got started on Steve Jobs: The Man Who Thought Different. I am enjoying the nonfiction book more than fiction this week. Reading everyone’s comments is making me super excited to read the remainder of the non-fic picks (and hopefully move on to Morris!!). I finished Titantic and am halfway through Steve Jobs. Titanic was awesome! I definitely have never read (or for my non-fic pick usually watch a documentary) about the Titanic. Sure I’ve read and seen clips of different stuff throughout my life and of course the Kate Winslet movie version. It was great to have facts and real stories. My hubby was even looking at the pics just to observe what things looked like back then. The Steve Jobs book is very interesting. I wonder if all these things people say about him they said when he was alive. I am halfway though and finally at the timeline of where I’m born, so this is all basically new to me. I look forward to seeing how his career advances in Apple to be the face we all know. Winter Break has finally started! I finished We’ve Got a Job and wondered why I didn’t know more about this. I like the way the stories of the 4 young people were woven into the fabric of history. Finished Wonder Show this past week. Plan on knocking off a few more over Christmas Break. Finished Wonder Show and will start on The Miseducation of Cameron Post soon. Moonbird: 3/5 stars. While the information was intriguing, I felt like it had too much bias for a non-fiction book. Titanic: 4.5/5 stars. Very good! While this is a touchy subject, I thought this was presented without bias. Great photos and great narrative! Titanic, We’ve Got a Job. My favorite so fat is Titanic. Bit sidetracked by holidays and illness, but I finished Seraphina. I loved it and felt a little disappointed when there wasn’t more of it by the end. Just got my box of books in the mail yesterday so I’m frantically catching up! 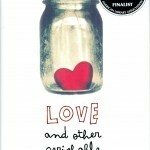 I read ‘Love and other Perishable items’ and I’m halfway through ‘The miseducation of Cameron Post’. I’m going to write reviews on my blog but would give 4/5 to LaOPI. I’ve also started rereading Seraphina, but will put that off in favour of the new books!